Barbados’s Long Beach, typically a picturesque vision of white sand and blue water, is buried beneath a vast expanse of thick, rotting seaweed. It’s a stinking nuisance that has turned deadly. “We have found three dolphins dead,” says Carla Daniel, the director of public awareness and education with the Barbados Sea Turtle Project. 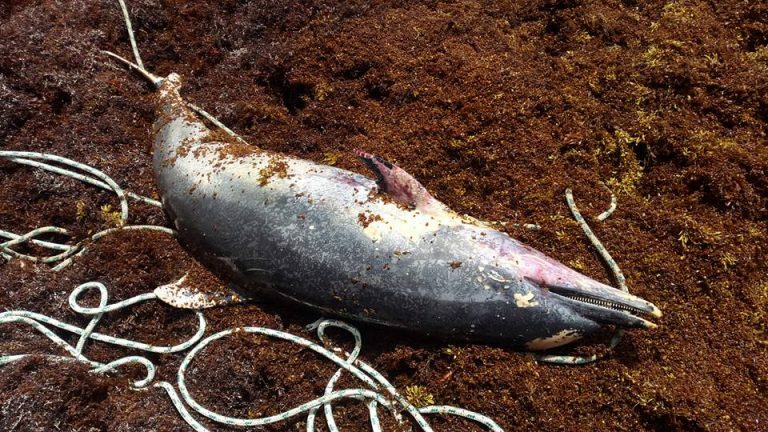 Daniel and her colleagues believe the dolphins got caught on June 4 in sargassum seaweed that has been washing up on Barbados and across the eastern Caribbean in mounds up to two meters thick. A necropsy of one dolphin revealed it died of stress. Seven endangered green sea turtles have also died so far. “For the majority of animals, the sargassum can be a problem because it traps them,” Daniel says. Under normal conditions, floating sargassum is a thriving ecosystem. It provides a vital habitat and food source in the open ocean for fish, turtles, and crustaceans. There are even a handful of species found only in floating sargassum mats, including the aptly-named sargassum fish. But when it grows too thick, the seaweed clumps in dense, tangled mats so expansive and impenetrable that sea turtles and other surface-breathing animals can’t break through. The current losses are reminiscent of 2015, when the worst sargassum influx to date killed more than 40 green and hawksbill sea turtles, their bodies found in the thick rafts of seaweed. “For an endangered species, that’s unacceptable,” says Hazel Oxenford, a biologist at the University of the West Indies in Barbados. But the current surge of seaweed is expected to be much worse than the one in 2015. “You can see on the satellite that there’s a lot more coming,” says Iris Monnereau, who works with the Food and Agriculture Organization of the United Nations in Barbados. Satellite observations show hundreds of thousands of square kilometers of sargassum floating in the central Atlantic. The challenge is in predicting where it will go next and where it might reach land, a situation that causes a whole other set of challenges. Barbados, the easternmost nation in the Lesser Antilles, an island chain in the Caribbean Sea, was just one island in the region on which the seaweed made landfall. 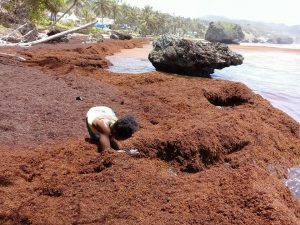 In Dominica, a sargassum mat came ashore in the town of Marigot a few days before Barbados was inundated. 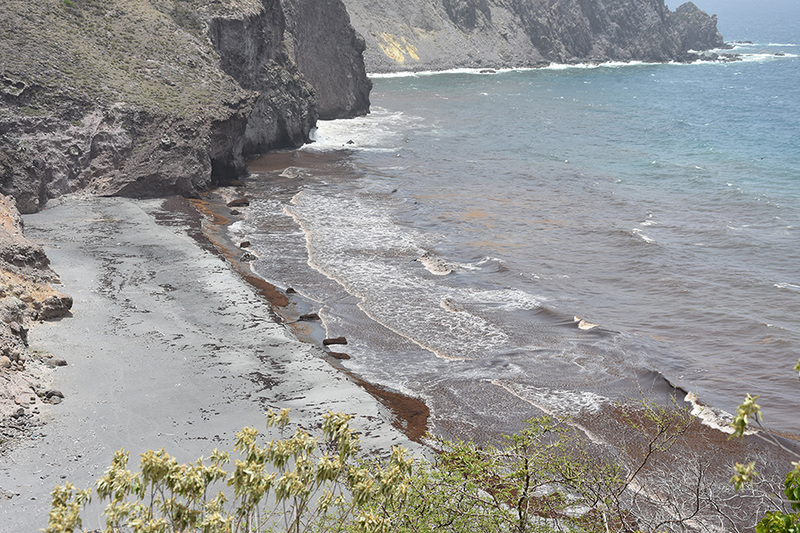 In Montserrat, conservationist Veta Wade says “huge walls of sargassum” have come ashore on the island’s eastern coast. 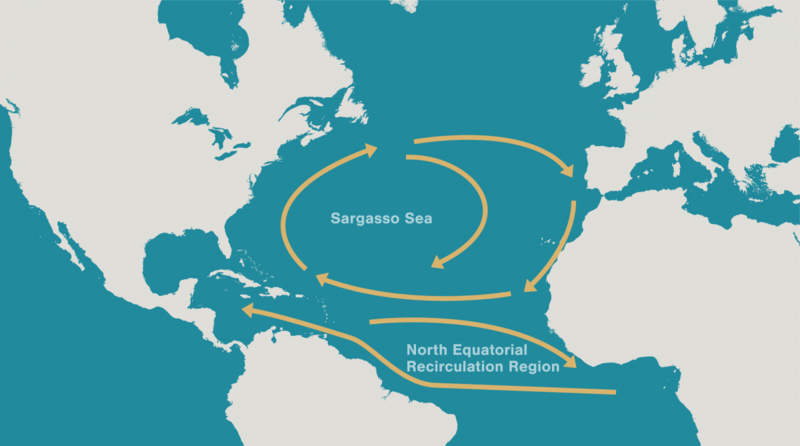 Historically, small quantities of the floating macroalgae naturally drifted into the Caribbean from the Sargasso Sea to the north. Since at least 2011, however, sargassum from a new source—the north equatorial recirculation region (NERR)—has begun inundating the region with thick mats of seaweed. 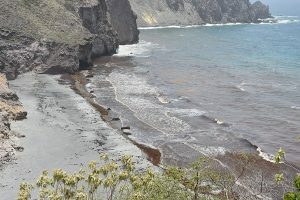 Conditions in the NERR, an area near the equator where large currents circulate, sporadically spurs the growth of sargassum—although the exact trigger for the blooms remains unclear. Evidence points to some combination of excessive nutrients from agricultural fertilizers and pollution; increasing nutrient flows from the Congo and Amazon Rivers and in dust blown from the Sahara Desert; and increasing sea surface temperatures caused by climate change. Under normal climatic conditions, sargassum can double its mass in just 11 days, Oxenford says. A warmer sea will dramatically boost its growth potential, she says. These mass accumulations of seaweed devastate marine and costal ecosystems: they prevent vital sunlight from reaching coral reefs and seagrass beds, and their decomposition saps the water of oxygen and releases toxic hydrogen sulfide. The result is a rapid degradation of seagrass beds, mangroves, coral reefs, and other shallow coastal ecosystems. A 2017 study showed how an influx of sargassum caused the mass die-off of seagrass beds in Mexico, causing damage that may take years or decades to repair. The phenomenon’s impact on local fisheries is also becoming clear. And the news isn’t all negative. “As bad as [sargassum] is, [it] has a lot of life in it,” says Barbadian fisherman Allan Bradshaw. Since the sargassum rafts began appearing in the eastern Caribbean in 2011, fishers have been landing more mahi-mahi than ever before, Bradshaw says. Juvenile mahi-mahi congregate near sargassum rafts. “Never before would you have seen those in such vast quantities,” Bradshaw says. But Barbados’s crucial flying fish fishery has taken a hit. 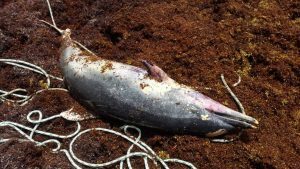 While the mechanism remains unclear, the arrival of such massive amounts of sargassum have coincided with a dramatic decrease in flying fish landings. Compared to the first six months of 2014, when Barbadian fishers landed 981 tonnes of flying fish, the catch plummeted to just 278 tonnes a year later, during 2015’s major influx of seaweed—a 72 percent decrease in one of the island’s most important fisheries. 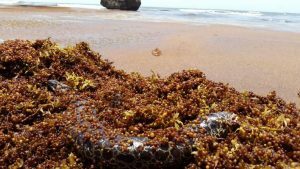 Although impacts of the sargassum influx on fisheries has been mixed, unprecedented challenges emerge when the massive rafts—fueled by increasing temperatures and nutrient loads—come near shore. This includes risks to human health. 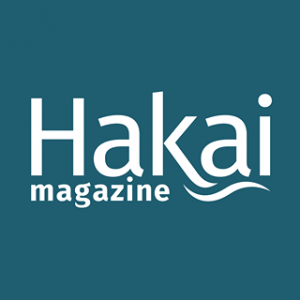 While the hydrogen sulphide gas released when the seaweed decays occurs naturally in the human body, it is dangerous in large amounts, causing headaches, dizziness, nausea, and even asthma. It can also cause “rapid and extensive damage to concrete and metals,” writes the US Environmental Protection Agency. The smell and blight also has the potential to damage the tourism industry, an economic pillar to Barbados and other islands in the region. Back in Barbados, Daniel and her team are picking through the thick sargassum mats that cover the beach, looking for turtles and wildlife that can still be saved. Going live on the Barbados Sea Turtle Project’s Facebook page last Thursday, Daniel released a turtle named Olive that had survived being washed ashore. The turtle, which is missing three of its four flippers, was taken out to sea and returned to, of all places, a small patch of sargassum. But it’s a carefully considered placement. The seaweed, says Daniel in the video, will give the turtle a source of food and a bit of shelter, as sargassum naturally does in the open ocean. As long as the sargassum doesn’t get too thick and the current steers clear of the shore, Olive should be okay.